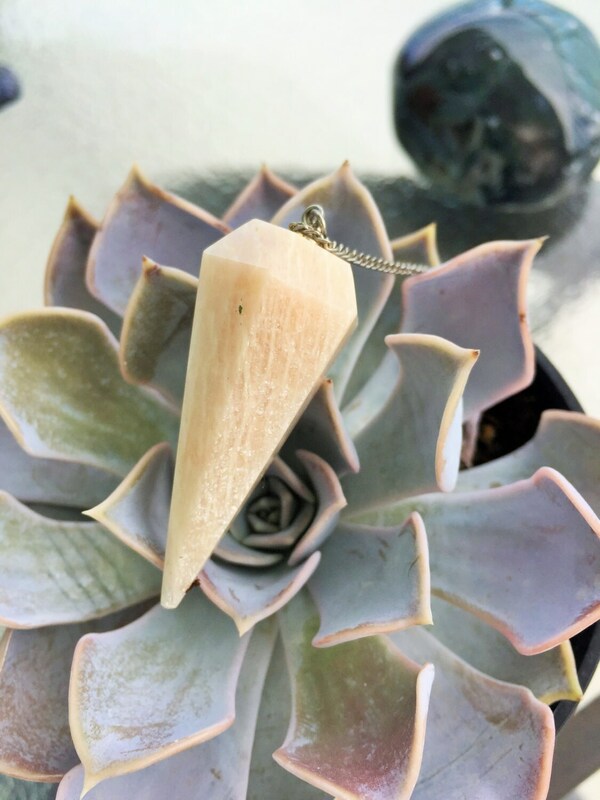 These White/Beige Agate Crystal Pendulum has bands of white strips throughout the Crystal as seen in the pictures. 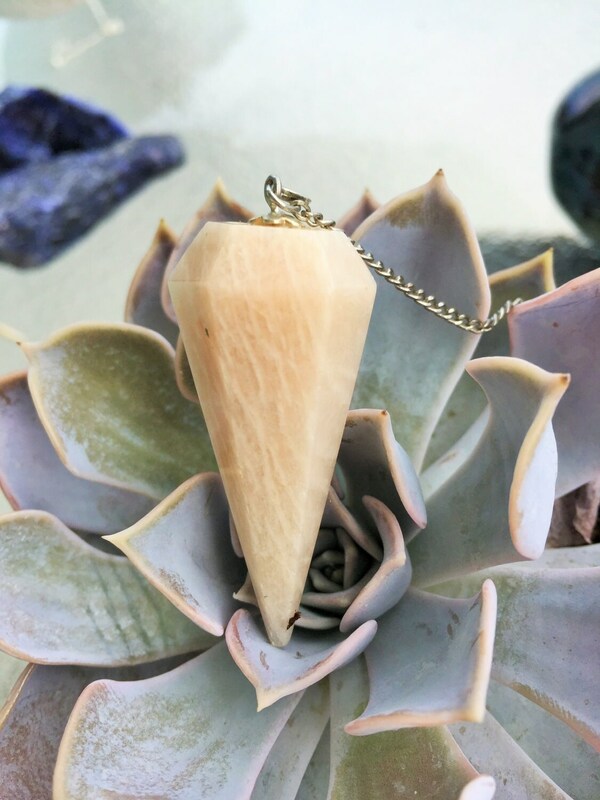 This pendulum is a perfect healing tool for body, mind and spirit. This stone balances all the Chakras. Agate is formed with bands of microscopic quartz crystals. 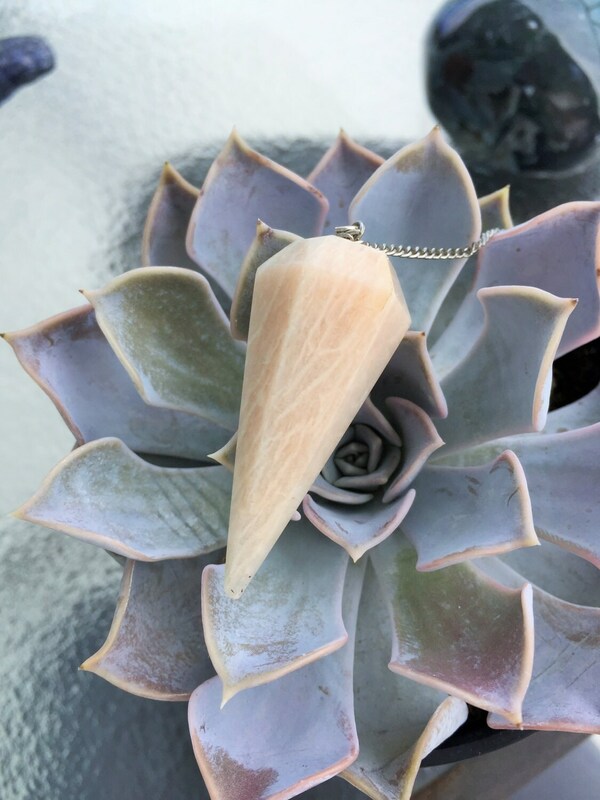 It is both a grounding and a spiritual stone, allowing for one to bring their spiritual experiences into their everyday reality. Agate is believed to improve mental functions and can help where issues of clarity and stability are concerned. Agate is also helpful in overcoming negative emotions by bringing love into the chakras. Although they work very slowly and deliberately, this gentle nature of Agate helps it to have a lasting impact. Some healers use channeling crystals for Reiki and chakra healing. They serve very well in channeling healing energy from the healer to the patient.